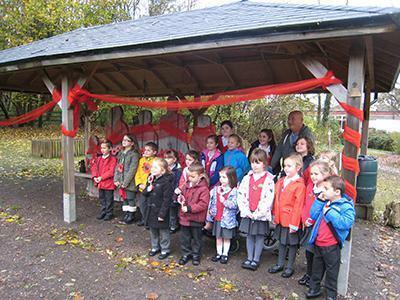 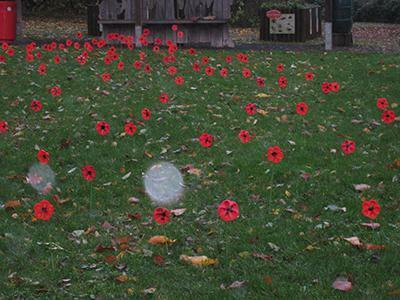 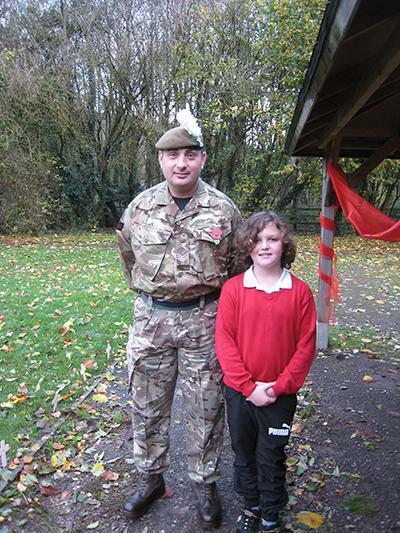 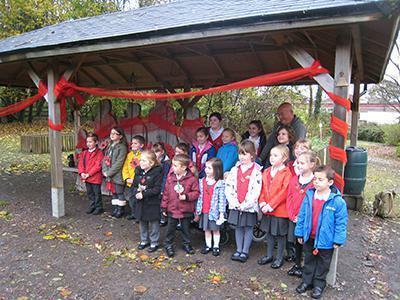 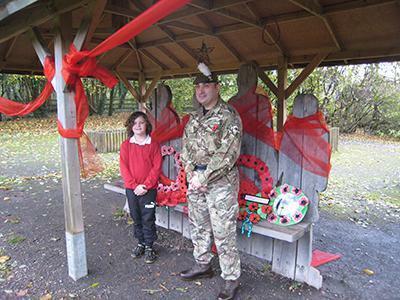 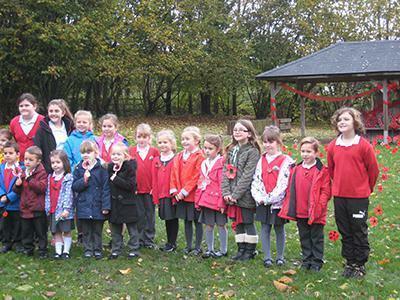 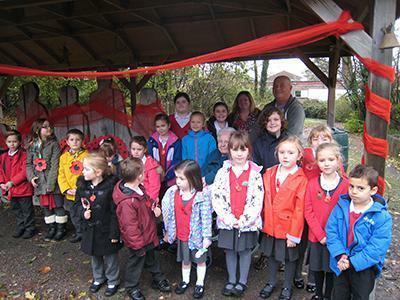 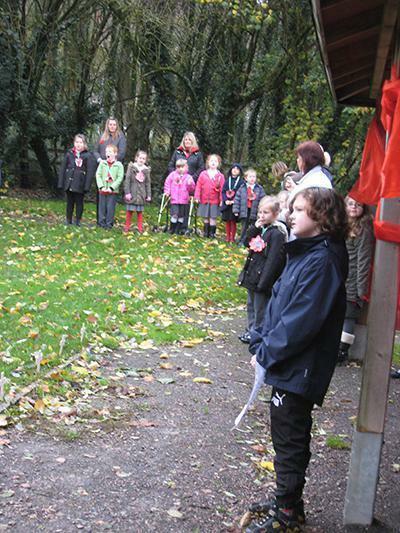 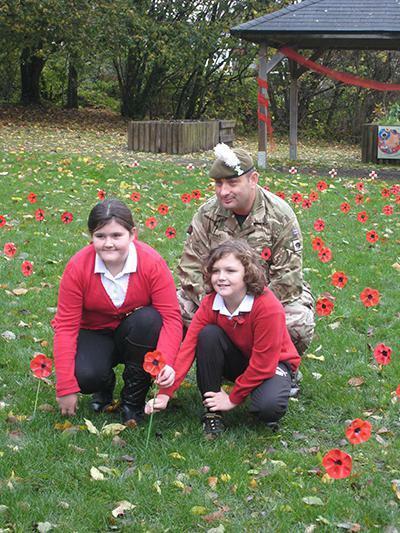 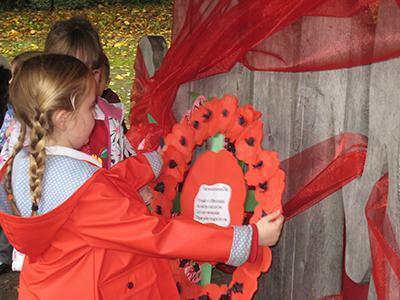 On Armistice Day this year we held a special Remembrance Service in our Environmental Area. 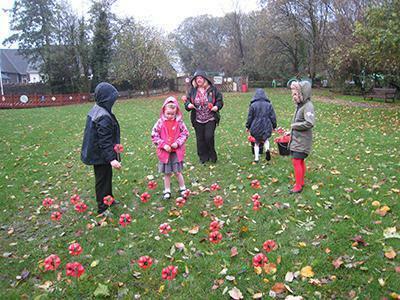 The pupils, a group of parents and Miss Carol Swift,one of our staff members, had spent a few weeks making poppies out of recycled bottles and the result was amazing. 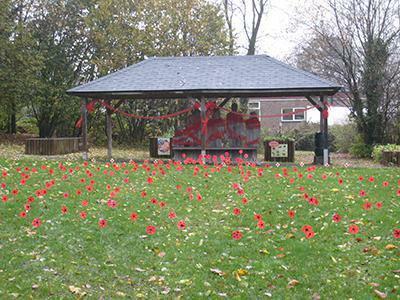 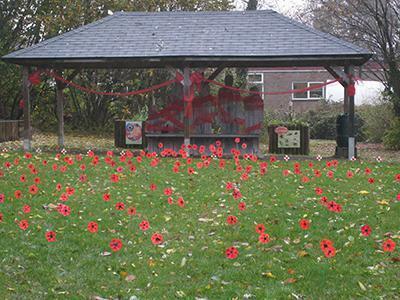 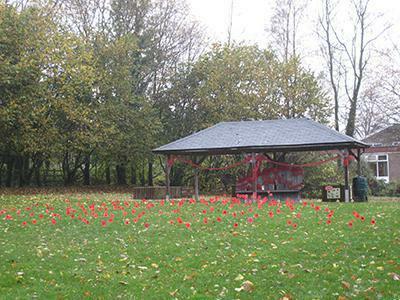 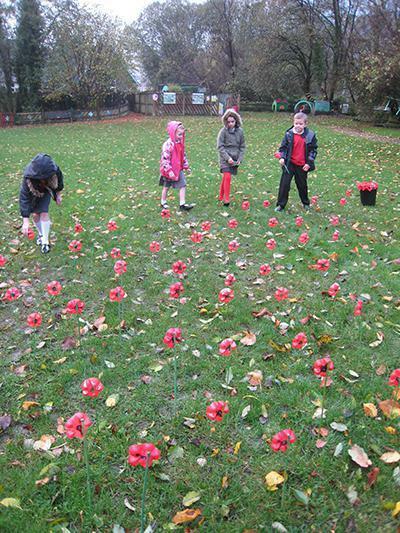 We created a field with these poppies in memory of all those who laid down their lives in the fight to protect us . 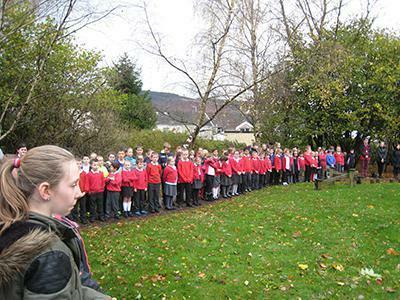 A very emotional and poignant service was held with some special guests including Sergeant Stephen Harris of the 3rd Battalion Royal Welsh, the Armed Forces education officers from RCT , residents from Maesyffynon and our Chair of Governors. 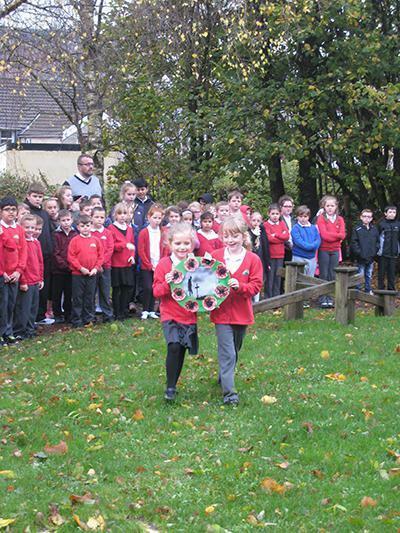 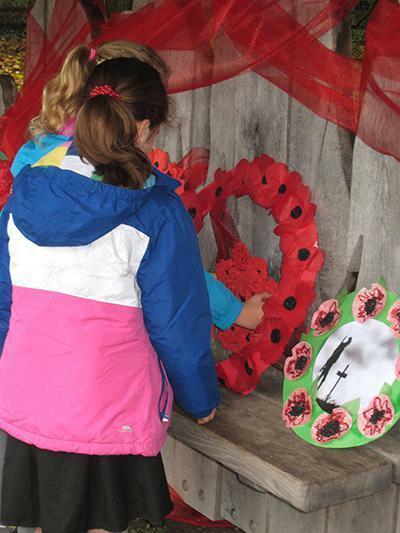 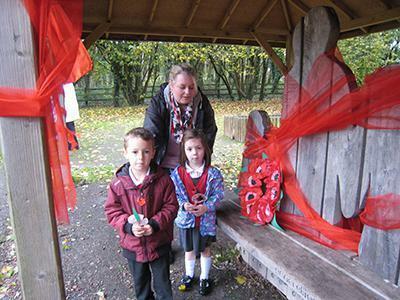 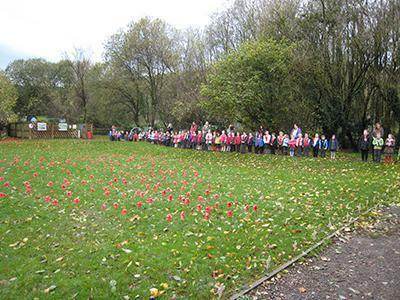 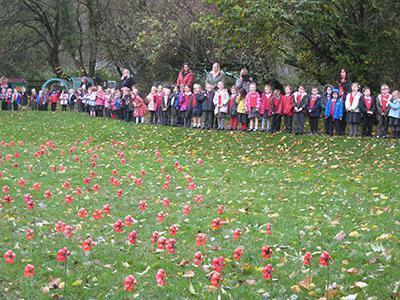 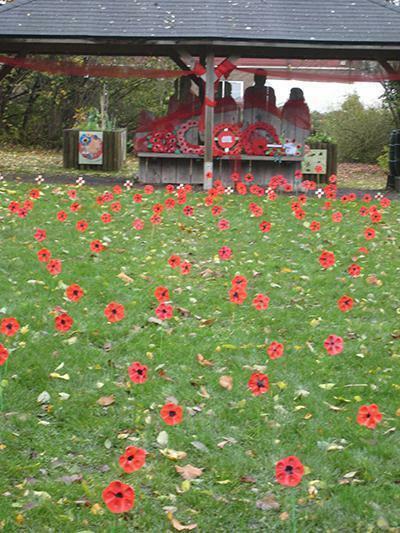 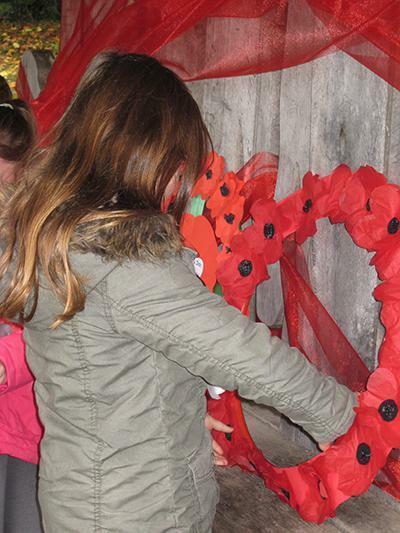 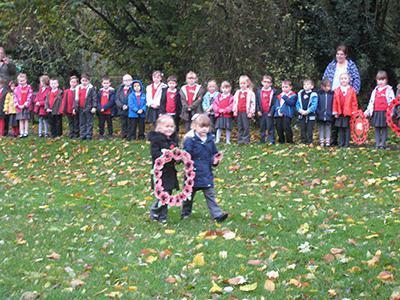 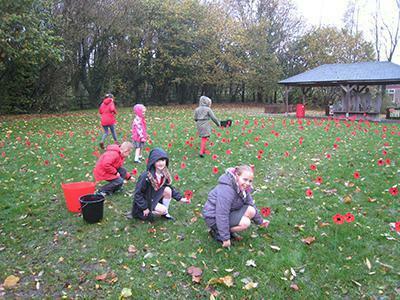 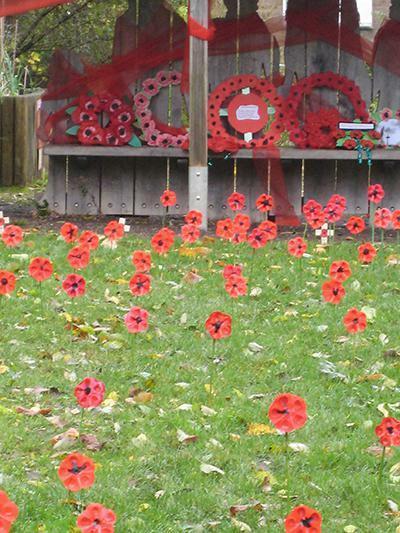 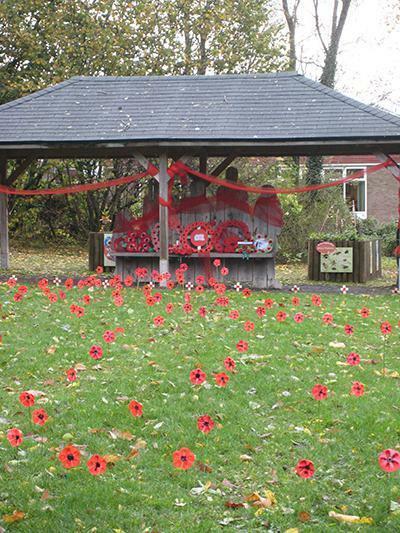 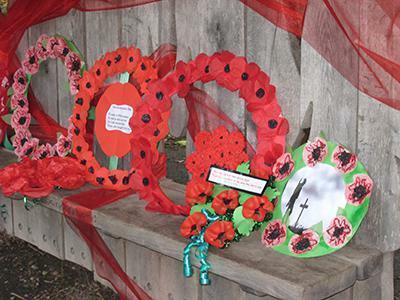 Each class had made a poppy wreath and came forward in silence to lay them respectfully in front of the poppy field. 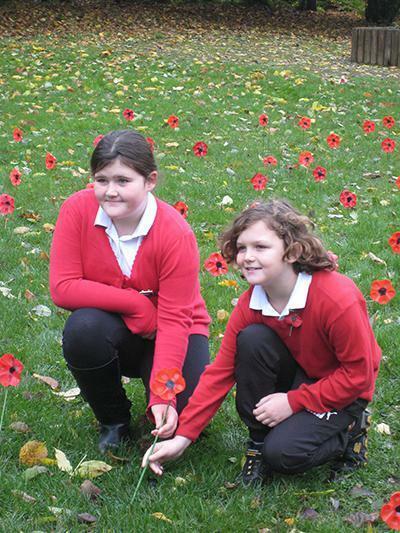 Year 6 pupils read some of their own poems and sang a special song about wearing our poppies with pride. 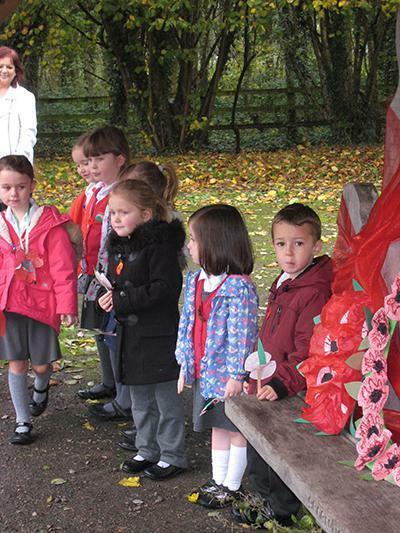 As headteacher I was incredibly proud of the children as they were so respectful and dignified in their behaviour.